GUS Poyet, Luis Suarez's most vociferous defender outside of Anfield, has revealed he is worried that his compatriot may quit English football in the wake of the furore over his behaviour towards Patrice Evra. Poyet added that the controversy could discourage other Uruguayans, such as the Chelsea target Edinson Cavani, from coming to the Premier League, though Poyet felt his countrymen were well-suited to the English game once they adapted to cultural differences. 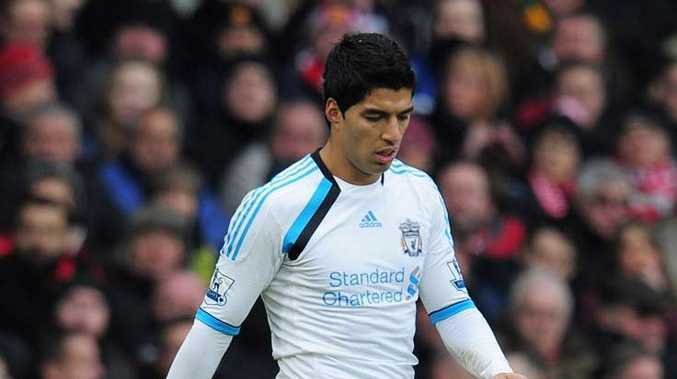 The Brighton & Hove Albion manager said he had been in regular contact touch with Suarez who, he judged, had "suffered" during the eight-match suspension imposed by the Football Association after an independent tribunal rule he had racially abused Evra. "It was difficult for him. He was worried about everything that happened and it was a shock.," Poyet said. "He was suffering. There is a danger he may go. I am sorry for Liverpool and maybe Liverpool will say 'What is he [Poyet] talking about?' but I have to be worried about this. "Luis wants to be a success here and I know he is learning a lot. When we spoke after the FA Cup tie [when Liverpool beat Brighton 6-1 last month] he looked happy to me. His family were with him and it is important they are happy as well. They help him a lot at Liverpool. "I hope we can keep him. I would like him to stay in England for English football. We shouldn't lose players of this quality." Poyet added: "I hope what has happened with Luis doesn't put a player like Cavani off coming here. I am always trying to convince Uruguayans to come to England. There is no better place to play football. From a young age we learn to care for our club, we die for the team, English fans love that." There are, however, big differences in attitudes to the game, said Poyet, adding that he was fortunate to be schooled in them by Nayim, the former Tottenham midfielder who was a team-mate at Real Zaragoza before Poyet joined Chelsea in 1997. "Nayim helped me adapt. I was the type of player who would do everything to win a game. If that mean cheating I would do it. Nayim said to me, 'Don't go down, don't score a goal with your hand, don't do this and that'. I was thinking, 'Where I am going to? Another planet?' I was lucky as I got injured very early in my first season and was in the stands watching and learning." Poyet adapted so well that when he returned to Uruguay after leaving Spurs in 2004 he failed to settle, and came back to England to coach. He has flourished and won the managerial achievement trophy at Sunday's 2012 Football League awards for his work at Brighton. Now his Spanish-born teenaged son Diego, an apprentice with Charlton, captains England Under-17s. "I am very proud," said Poyet. "They asked if he would play for England. I thought it was a good idea, but it was his decision."